Platform two of St James Park railway station is set to be extended. The platform is approximately 37 metres long, which means it can be served by only one or two coach trains. Other trains have to use selective door opening or single door opening at the front carriage for passengers to get on or off the train. The short, Exmouth-bound platform, causes issues on match days, as trains no longer stop at the St James Park halt when an Exeter City game clashes with an Exeter Chiefs fixture. But councillors on the Devon and Exeter Rail Project Working Party were told that the Department for Transport had agreed and signed off on the extension to the platform. Network Rail will be funding the work as part of the Devon Metro strategy, but Lewis Ward, Assistant Regional Development Manager for Great Western Railway, could only tell councillors that a date for construction work would be announced by Network Rail this year. Mr Ward said: “St James Park station is a charming station but it has small platforms and it doesn’t match the user requirements. 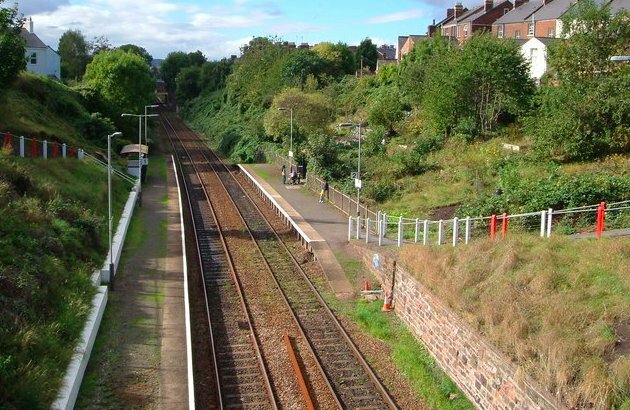 We have been making the case with Network Rail for a long time for this and we expecting to hear a construction date announced this year for the platform extension. No date for when the work will take place has yet been announced.